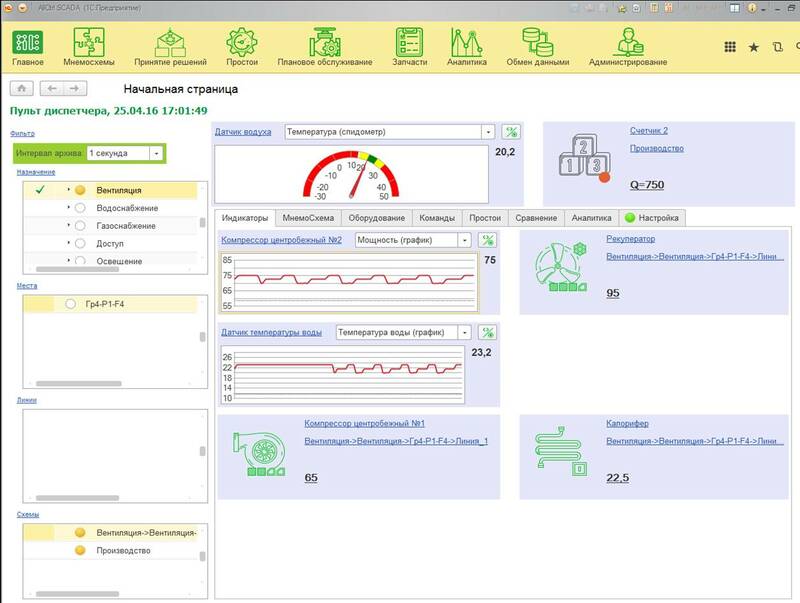 We developed a convenient and intuitive dispatcher console in ACS AllCtrl.SCADA based on 1C:Enterprise 8.3 to increase the speed of decision making, dispatching of equipment operation and production (MES), devices. The user can simultaneously monitor the 10 objects that require his attention. All indicators are available for each object (tag values from OPC-servers); these values can be evaluated in real time as diagrams, graphs. 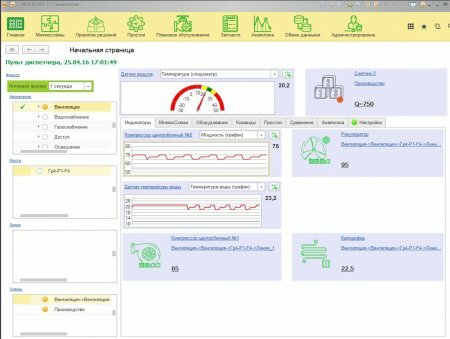 This dispatcher console, which visually depicts the parameters of ACS in real time, is used to automate the process of manufacturing execution system (MES), greenhouses, building complexes and livestock process. real-time data transfer and operational communication of dispatchers with engineering and management personnel at all levels.